Brands that are able to provide their customers with this feeling of connection are going to be one step closer to creating true advocates for their brand. Perhaps one of the best ways that modern organizations can offer a customized experience is through meaningful personalization -- far beyond the "Dear Friend" found in some mass mailings. 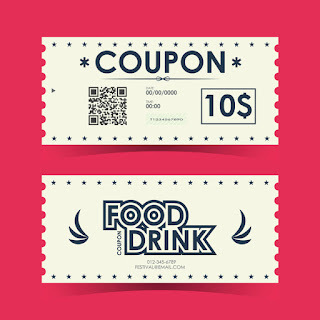 While your business may not be quite that complex, you can certainly track in a more simplistic way in order to offer timely and meaningful coupons to your customers. For instance, offering a discount card tied to someone's phone number allows you to discover which days of the week they are coming to see you and how often. Upsell your services by providing discounts on off-days when they may not visit or to shorten the time between services. This strategy works especially well for service-based businesses such as hair and nail salons. Knowing the general age of your customers or whether they're empty-nesters, young parents, or an older retired couple provides you with the information that you need to create offers that are more compelling. One example would be a restaurant whose tables are nearly empty on a Wednesday night. Sending information to young families that Kids Eat Free on Wednesdays is likely to bring in a wealth of new business on that evening and keep your tables full. There are many businesses that thrive on new families moving into the area -- from retail establishments to grocery stores and everything in between. Consider working with a few complimentary businesses in your region to create a move-in special: a package of offerings that can be mailed to families just as they move into the area. These hot new potential customers have not yet formed an opinion of the area and will need to create new shopping patterns. If your offer comes at the perfect time as they're moving in and purchasing new products for their home, they are likely to continue visiting your establishment over the years.